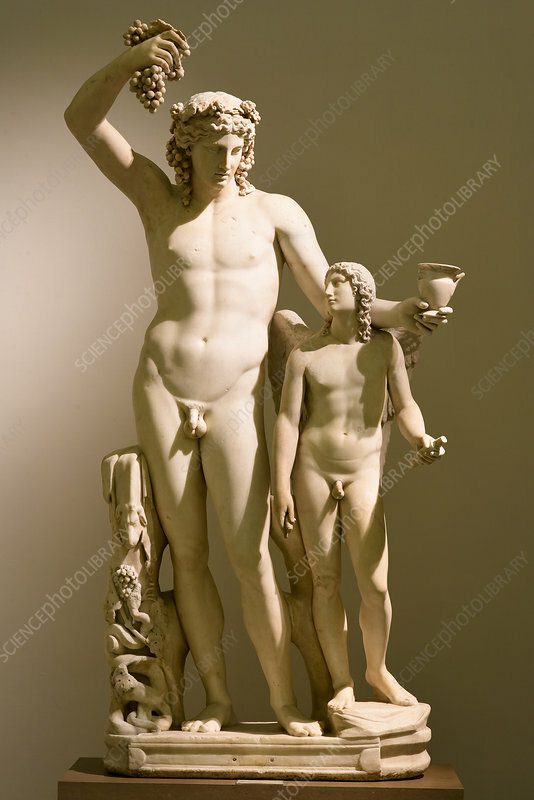 Roman statue of Dionysus and Eros. Dionysus is the Greek god of wine-making (with grapes and a wine cup). Eros is the Greek god of love and desire. This statue dates from the 2nd century AD. Photographed in 2017, in the National Archaeological Museum of Naples.